Given the bivouac's interest in alternative futures, it is great to see more sophisticated provocations represented in videos like "One Hundred Hunters" from Nigel Stanford. With it's masterful mixture of new and authentic retro footage from NASA, the combined story telling helps fire the imagination. After all, there are so many questions as to why we have not been back to the moon since 1972...or perhaps we have? 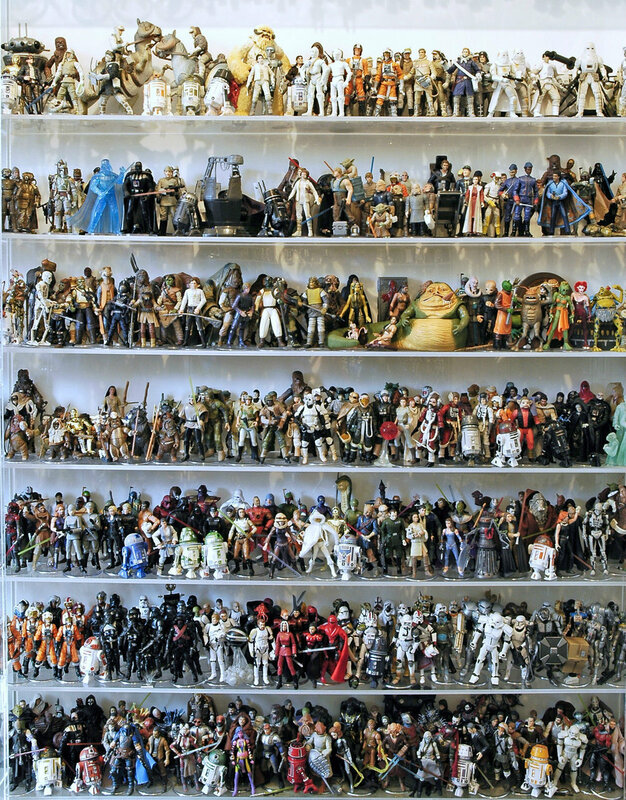 Whether a fan of George Luca's Star Wars saga or not, one can only take in the image of this extra large Star Wars collection with awe. It is it laid out in a creative fashion, strangely evoking the impression of some sort of modern Bayeux Tapestry. And someone also laid out an impressive figure for the collection as it recently sold for over $11,000. That's an impressive amount for an equally impressive collection. Looking it over, it appears to be made up of the latest round of action figures, not the originals that launched in 1977. The tooling and detail on this latest generation of figures is superior the original series to be sure, but I am so thankful to have had some of the originals to lift the horizons of my imagination through countless hours of creative play. I can't help but think that those hours spent re-enacting Luca's masterpiece also taught me a thing or two about filming and storytelling. Thanks again for that and so much more George! Thanks Susanne for reminding us of this exemplar of infographic visualization. As the film's website says, Helvetica is a feature-length independent film directed by Gary Hustwit about typography, graphic design and global visual culture. It looks at the proliferation of one typeface (which will celebrate its 50th birthday in 2007) as part of a larger conversation about the way type affects our lives. Shadowplay Studio's title sequence for "Thank You for Smoking" does a nice job highlighting all the attention to detail that tobacco companies have designed into their product packaging over the years. The change of seasons reminds the bivouac of the 2004 X3 launch advertisement. An excellent example of video motion matching, the commercial conveys the strength of the X3's new x-drive technology which brings new levels of versatility and performance to the Sports Activity Vehicle market. 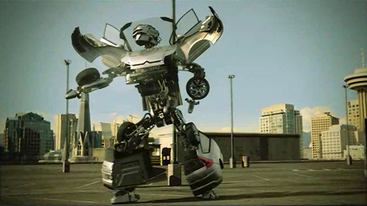 Building on the success of the BMW Films series, BMW sponsored a creative video series that corresponded to the launch of the X3. Take a look at one of the minus zero entries.